Hello there, I am back today with a card I made for my brother for his birthday. 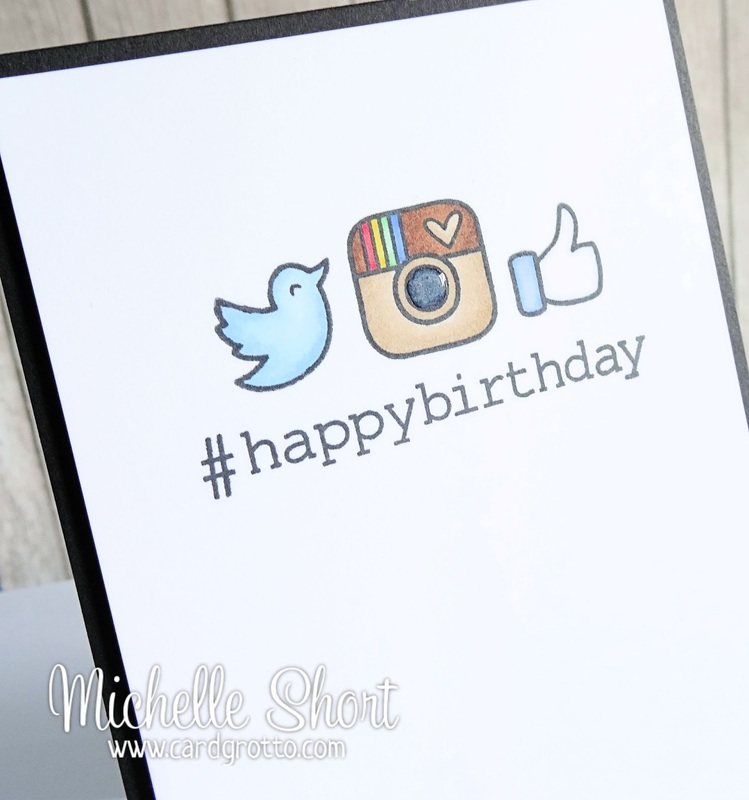 He is a techy man so when I saw the #awesome stamp set from Lawn Fawn I knew I wanted to use it on his card. 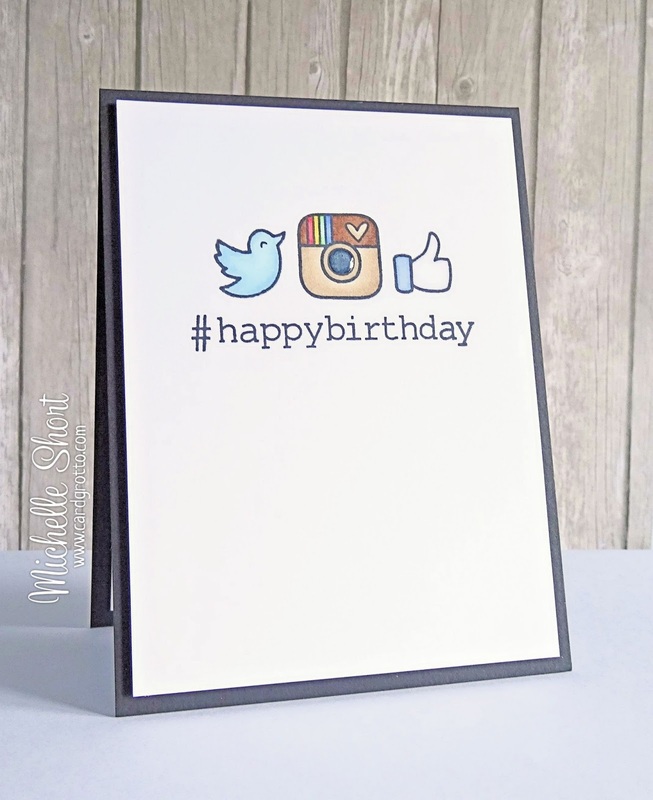 I first took a panel of white cardstock and stamped the social media icons on it, followed by the sentiment below. The icons have then been coloured using Copic Markers, adding a little Glossy Accents to the lens on the Instagram icon. I have then popped the panel up on to a black card base with foam tape. A very simple card but hopefully it works! COPIC MARKERS: Twitter icon: B000, B12. Instagram icon: E42, E43, E57, E59, C5, C8, R24, R27, Y18, Y19, G12, G14, B24, B26. Facebook icon: C1, C2, B91, B95. Hope you'll be feeling better soon.